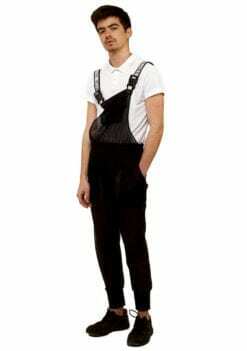 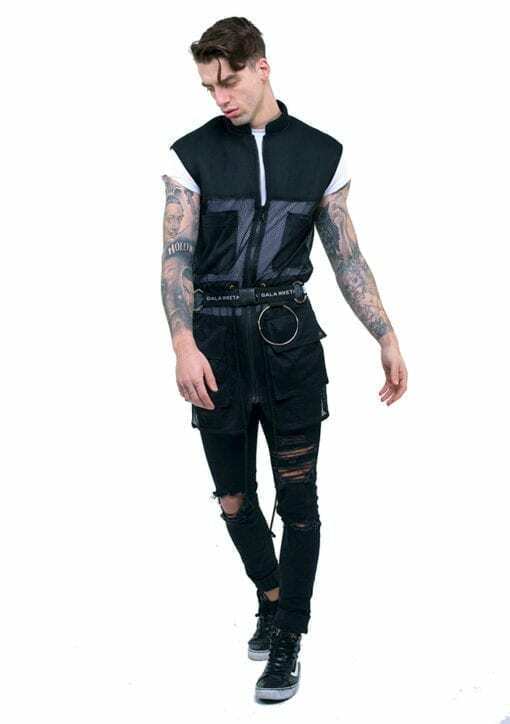 The waistcoat does NOT include the black t-shirt the model is wearing! Another different and more avant-garde accessory from the collection the army waistcoat is very versatile and can be styled as you imagination wishes. 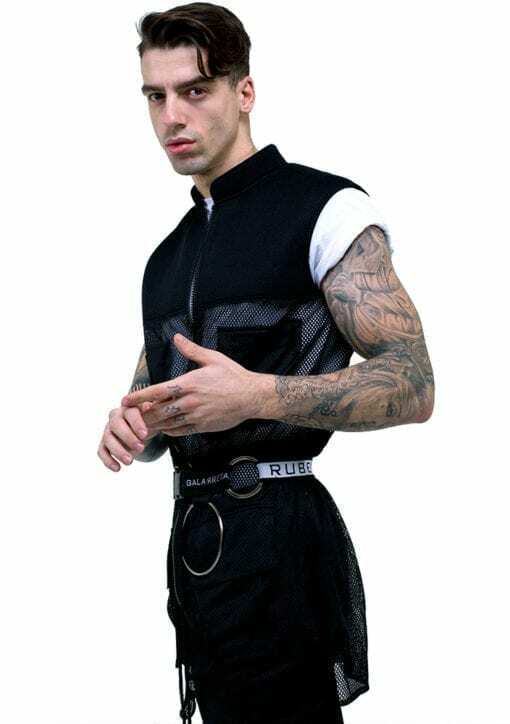 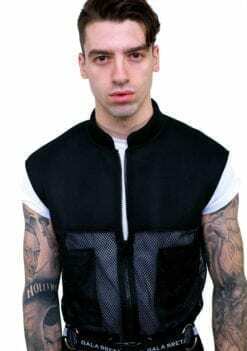 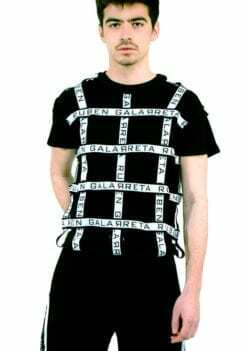 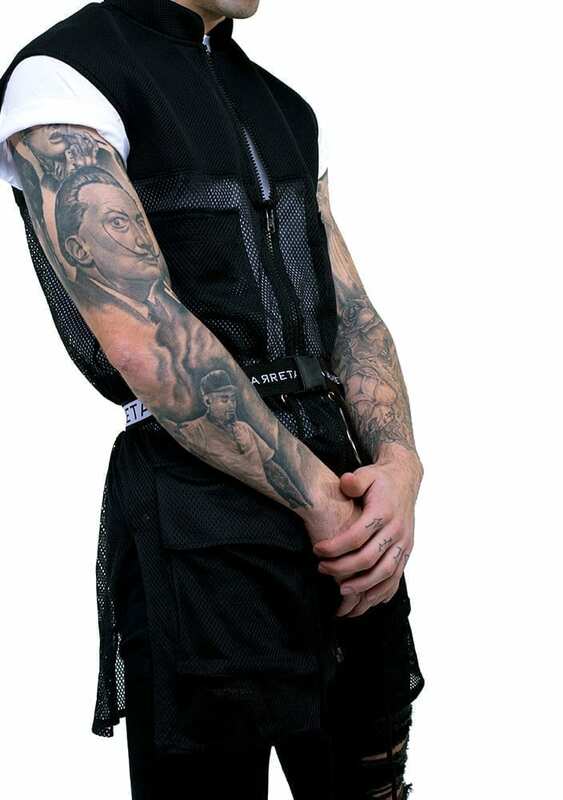 The army waistcoat is made of Galarreta black mesh fabric and soft black neoprene mesh on the shoulders. 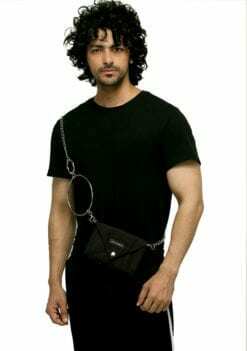 It has front pockets and adjustable belt. 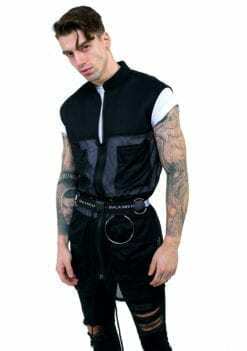 The waistcoat is very comfortable and simple to wear in every occasion. 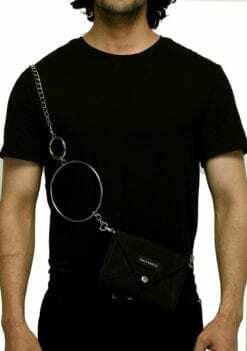 Many of our boys wear it on top of a white or black t-shirt and we love it! 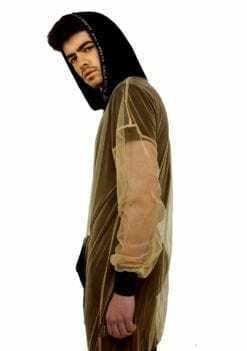 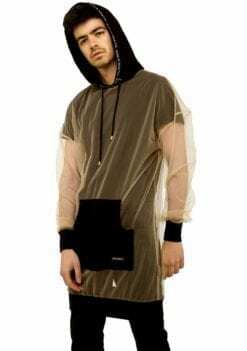 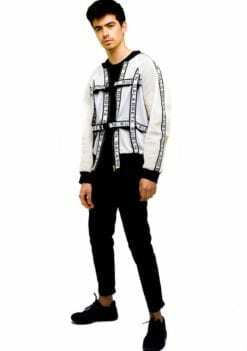 But the designer suggests that it can be worn on top of t-shirts and for those with a more outgoing style statement he says that you can just wear it . However you want to rock it out.